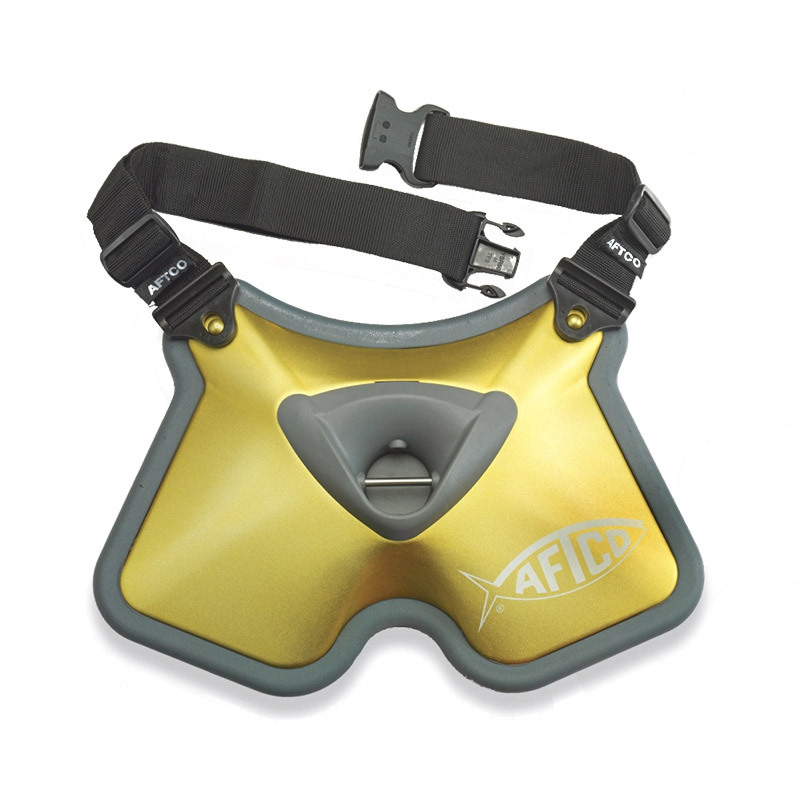 The Clarion is the ultimate big fish stand-up fishing fighting belt! This is the ultimate fighting belt for big fish. The super thick closed-cell EVA faom back pad is engineered to maximise comfort and leverage, so that when the belt is positioned low across the thighs, the load is distributed evenly for maximum pulling power. 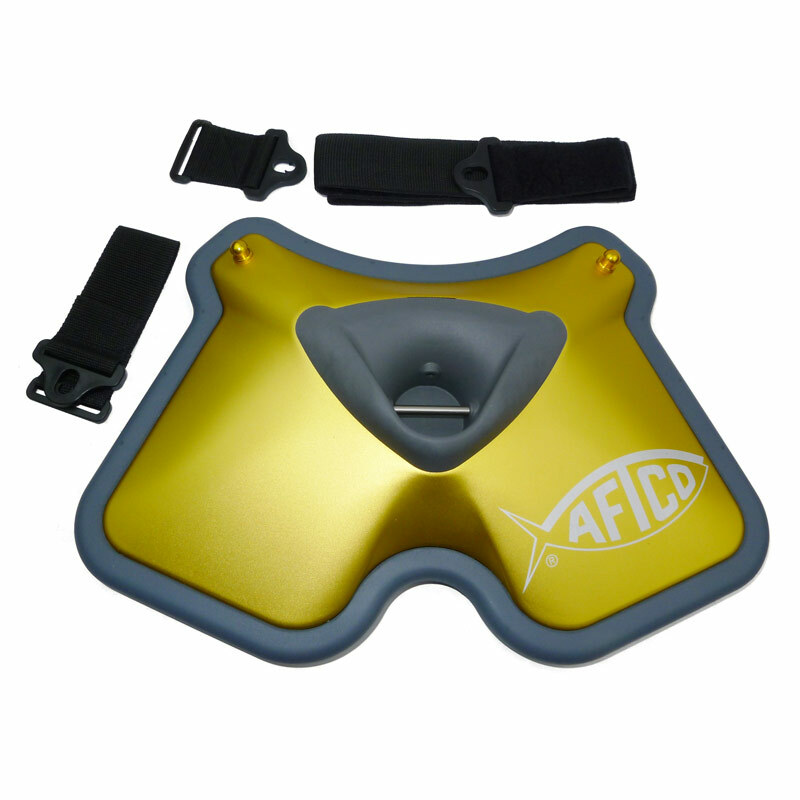 Molded to the foam back is a heavy-duty yet lightweight gold-anodised aluminium front plate. 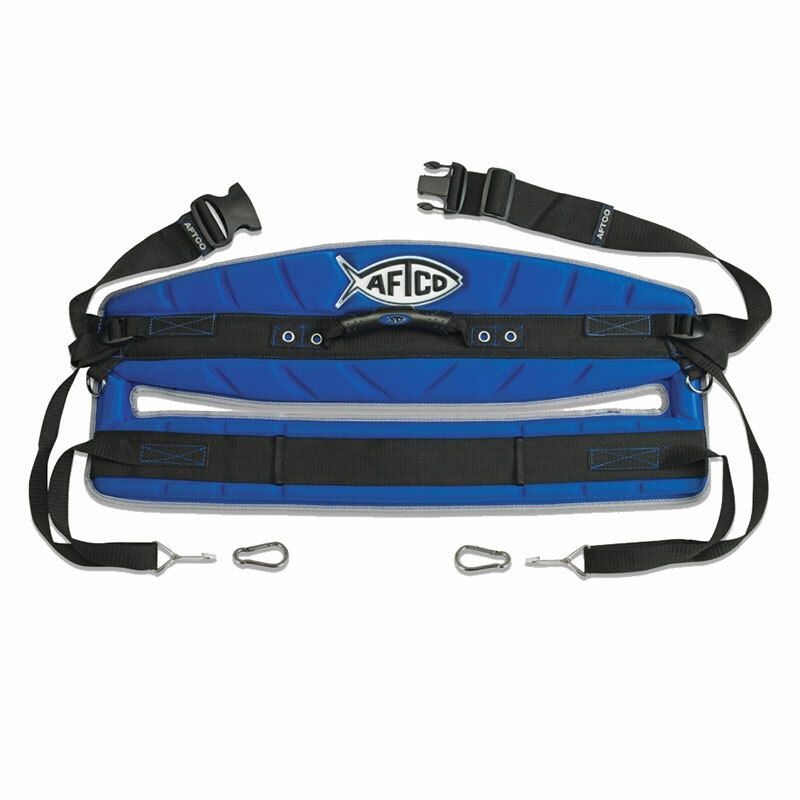 Super durable, it features posts at each side that accept unique quick clips which snap the belt starps or optional drop straps into place. This is a big belt for big fish. Best suited for use with 80-130lbs class tackle. The Clarion fighting belt measures 19 inches wide by 13 inches high, and if it falls overboard, it floats! 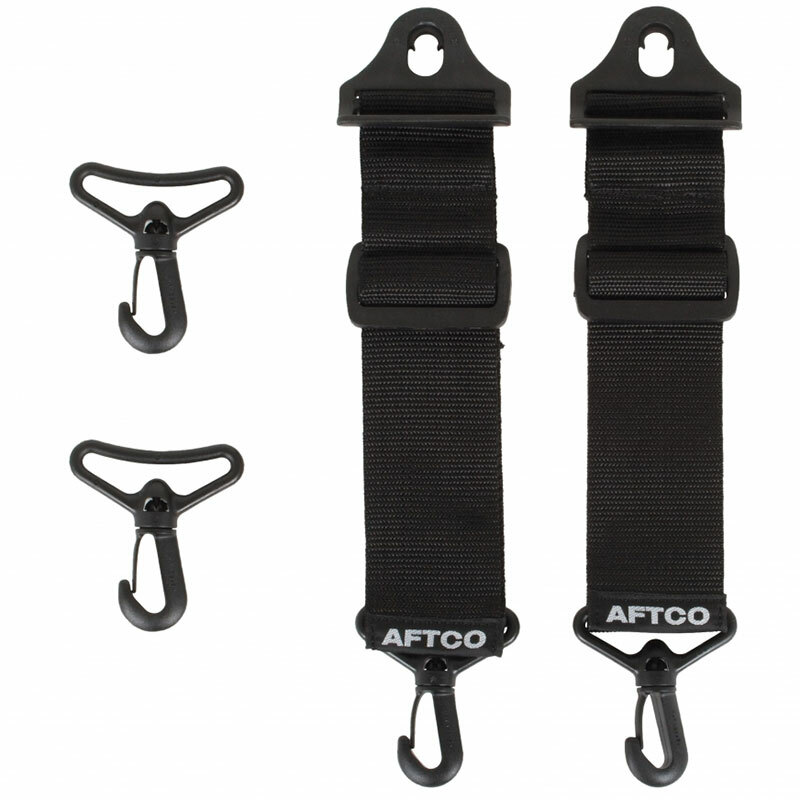 Unique, super tough “Quick Clips” easily fit over fighting belt posts, and with a pull (to lock) or push (to release), quickly “snap” belt straps into or out of place.